"Ballroom dance" refers most often to the ten dances of International Standard and International Latin, though the term is also often used interchangeably with the five International Standard dances. 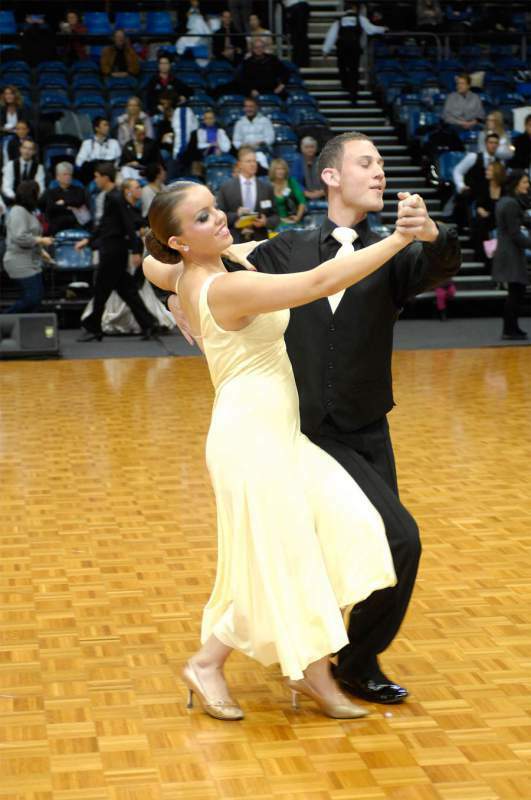 Modern Ballroom encompasses dances such as Waltz, Tango, Slow Foxtrot, Rhythm Foxtrot, Viennese Waltz and Quickstep. Students can learn these dances by attending the scheduled class or opting to take individual lessons. Standard dances are normally danced to Western music (often from the mid-twentieth century), and couples dance counter-clockwise around a rectangular floor following the line of dance. In competitions, competitors are costumed as would be appropriate for a white tie affair, with full gowns for the ladies and bow tie and tail coats for the men; though in in the level 1 category (beginners) and for all Juvenile (Under 13yr) competitors there is a restricted dress code that ensures that the emphasis is on the dancing in the competition rather than the costuming and that the initial cost to commence competition is kept to a minimum. Once the dancer has moved up to the next level they can then make the decision to dress in the more formal dancewear.